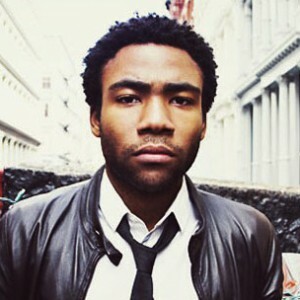 For a while, “3005” was my favorite Bino song I had heard. Insert article link here. After not going out of my way to listen to anymore by Childish Gambino, I got a chance to hear “Telegraph Ave” a few days ago, and my opinion changed quicker than a caterpillar into a butterfly. Though to be fair, that is actually a fairly lengthy process. Come up with a better metaphor (simile?) for me in the comments below! Gambino starts out the song a it different by projecting sounds of starting a car, turning on the radio (Power 106 of course, what rubbish are you listening to?) and playing Lloyd’s “Oakland”. Before you go searching, “Oakland” is not actually a song (yet). Rather, it was audio recorded as the transition piece for this song. So I guess it’s “Telegraph Ave” featuring Lloyd? Despite the initial confusion of it all, “Telegraph Ave” takes Hip-Hop and spanks it with the RnB paddle. Forgive me if that triggered any flashbacks, I am not responsible for your crappy childhood. The intro has to last less than 45 seconds in fear of making the song after that checkpoint irrelevant. It manages to introduce the concept of the song with a relatable scenario, and keeps listeners paying attention until it transitions into the real deal and an iconic start to the awesome music. Drake comparisons keep swarming my mind to interpret into writing, but I will hold back. Childish Gambino sounds more like – I got nothing, this is the closest thing to Drake besides Aubrey Graham. I hate to admit it, but Donald Glover takes the Drake Hip-Hop-to-RnB-then-back-to-Hip-Hop thing and gets it right. Childish Gambino has done that pretty well since “Heartbeat” though. His rap verse is flawless, and the vocals are tuned just right as genuine lyrics come out of his words. The beat is complex and different as it features echos and compliments the vocals perfectly. I am giving this song a perfect 10/10, and here’s why: You cannot name a Hip-Hop or RnB fan that would find this song lacking in talent. Whether or not it is your cup of tea is your business, but the clearcut genius lyrically and in the song’s design and timing is apparent. This might be opinionated, but I have no problem sharing this song with anyone, and am proud to call it a favorite to anyone; Whether or not they enjoy it, however, is out of my control. I must say my biggest negative related to the song is the fact that I did not listen to the full album and had to find the song in my suggestions before actually giving it a listen. Now I feel obligated to listen to Because The Internet knowing it could hold any other track like this one. You get the picture, I highly recommend listening to this song no matter what genre you fancy.